Today I'm back with my DT card for the new challenge at Cardz For Galz. This week we would like to see your 'Pink and Pearly' girly creations. I must admit my card is cased from one I saw on Pintrest, but I fell in love with the trail of pearls and gems. The butterfly itself has been coloured with ProMarkers then encased in glamour dust to make the whole thing sparkle. I love the simplicity of the card overall, although sticking all the pearls and gems on took an absolute age lol. 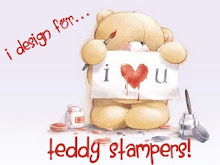 Please hop on over to the main blog, and check out the other fab DT creations, or better still why not join in the fun. Thanks for stopping by, and I'll be back soon with more new creations. Such a pretty design, Sharon - I love all those tiny little pearls. Gorgeos card, fabulous design. Thank you for sharing your work with all of us at Crafty Boots Challenges. A stunning card for our theme this week, many thanks for joining in at Allsorts challenge. A really beautiful card, thanks for sharing it with us over at Lost Coast Portal to Creativity! This is so beautiful! I love the soft colours and the trail of gorgeous gems. Thanks so much for playing along with ASM this week! Thanks for join us at Stampartpapel! Beautiful card...Thanks for joining us at the Cutie Pie's. WOW FACTOR!! Clean, simple and stunning. I love the way you used the pearls on this creation. Thank you so much for sharing it with us at 4 Crafty Chicks for our Pearls Challenge. You've made a beautiful card for the 'Pretty In Pink' challenge at Cutie Pie's. Good Luck. 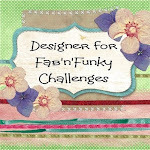 Im back again, but this time for Crafty Friends... thanks for entering the 'Gems and/or Pearls' challenge over at Crafty Friends. Hope you will join us for our next challenge... Good Luck! This is so pretty and delicate. Thanks for sharing in our pretty in pink challenge at OLL. Lovely card, thanks for sharing with us at the Cutie Pie challenge.